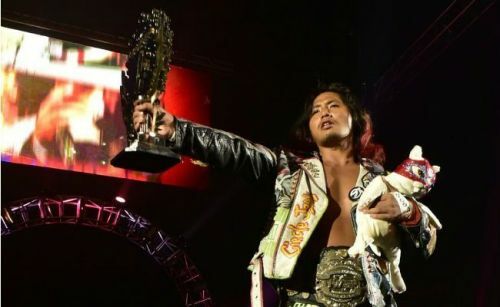 During a recent edition of The Wrestling Observer Newsletter, the latest update on current IWGP Jr. Heavyweight Champion Hiromu Takahashi was seemingly provided, following his devastating injury at NJPW: G1 Specials at the Cow Palace. At this year's NJPW: Dominion 6.9 event, Los Ingobernables de Japon's Hiromu Takahashi successfully captured the IWGP Jr. Heavyweight Championship by defeating now-former champion Will Ospreay. Following Hiromu's win, 'The Ticking Timebomb' successfully went on to defend his title at the Cow Palace against arch-rival Dragon Lee, however, during the match, Takahashi, unfortunately, suffered a broken neck because of Phoenix Plex from Lee. As per The Wrestling Observer, it is been apparently reported by New Japan Pro Wrestling doctors that current IWGP Jr. Heavyweight Champion, Hiromu Takahashi might be sidelined for a total of 9 to 12 months due to his gruesome neck injury, before he can eventually make his return to in-ring competition. According to the report, it currently states that Takahashi had initially suffered a broken neck, but, as of right now, nothing has been made public from the current Jr. Champion's camp. In addition, there are apparently also no signs of any sort of nerve damage and the hope is that Takahashi might be able to start training within six months time at least. As of right now, New Japan Pro Wrestling has also not provided any sort of update on Takahashi or what the future holds for the IWGP Jr. Heavyweight Title. However, fans should expect an official announcement from NJPW management following the conclusion of the on-going G1 Climax 28. But, meanwhile, it is pretty likely that Takahashi will apparently have no other option but to vacate his title belt and with the likes of Will Ospreay, Taiji Ishimori, and Marty Scurll currently a part of the Jr. Heavyweight Division, there are currently no short of contenders for the IWGP Jr. Heavyweight Title.